Fox is looking to some re-instate some old-school DVD features to bring its Blu-ray discs bang up to date. One of the banes of the Blu-ray format is sluggish loading times - this is especially true when it comes to Java-heavy discs. While no one has yet found a way to stop the wait, Fox thinks it has found a workaround solution. Speaking exclusively to Home Cinema Choice, the movie company has decided that loading Java in the background and instantly coming up with a trailer or two to keep punters entertained is the way forward. "When you put a disc in you'll be able to start watching trailers, cards or other material right away," explained Joe McCrossan, from Fox's Blu-ray research and development operation. "In the background the player will be doing the setup and getting the disc ready for viewing. This will dramatically reduce the time consumers experience when they are waiting to watch the movie. "We've been working on this for a while and I'm expecting it to be available in the near future." Another feature that Blu-ray's older brother, DVD, has was that your machine would remember exactly where in the movie you stopped playing your last disc – something sorely missing from BDs at the moment. Fox again thinks it has found the solution for this, with McCrossan saying: "In the near future, when somebody ejects the disc, we'll make sure that all of the stuff you have done with that disc is saved. "Whether that's where you are in the movie, if you've been playing a game, creating your own bookmarks, all of that will be saved. "So when you put the disc back in you have the option of picking up exactly where you have left off. Our hope is to make that standard once the technology is finalised." 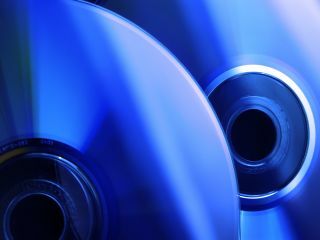 We're hoping the 'near future' is pretty soon, as Blu-ray may be visually superior but it seems that when it comes to easy accessibility, DVD still rules the AV roost.